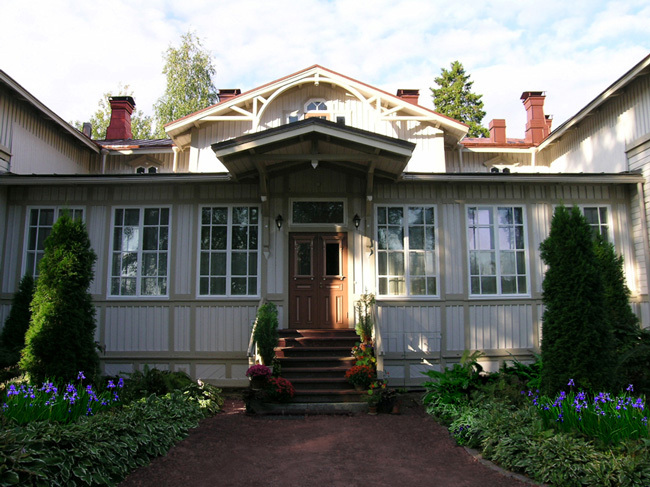 For 2001-2012 The Old Vicarage in Huittinen was a labour of love for Markku Piri. He renovated the Checkovian log manor from 1826, and the surrounding park, and ran it as a cultural center with summer exhibitions, concerts and a cafe. Top artists from Karita Mattila to Soile Isokoski, Pekka Kuusisto, Ismo Eskelinen and Martin Katz performed. A magical place!